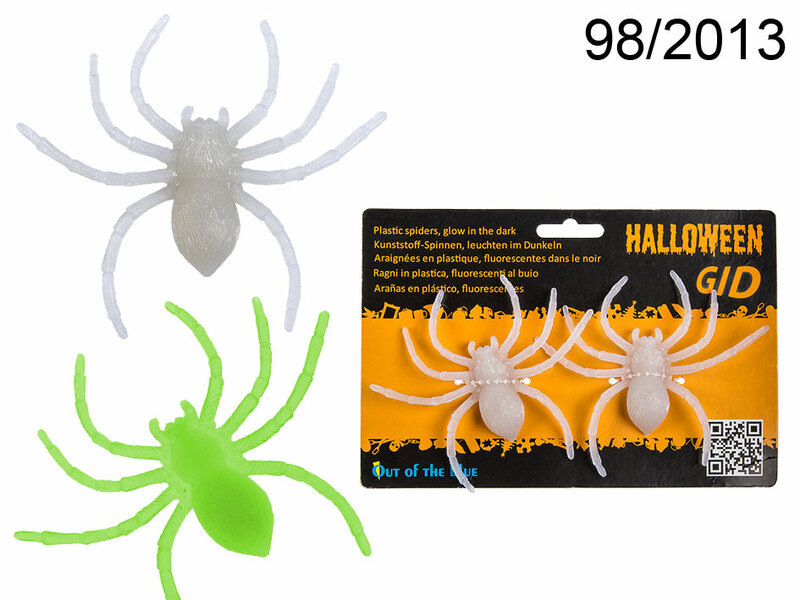 Amazing Halloween decoration - two plastic fluorescent spiders. Fantastic item that simply scares people ;). They have to be exposed to light for some time earlier on in order to glow in the dark. Awesome Halloween or horror theme decorative item. In blister with euro slot hanger.